This is exactly what the M100 is. 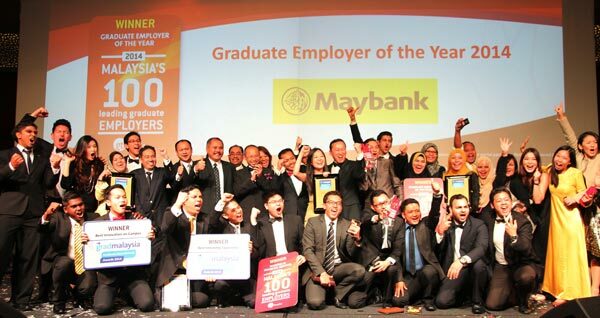 It calls itself the largest and longest-running graduate careers survey of university students in Malaysia. The organisation asks students which careers pique their interest, and of those, which employers do they most want to work for. Deloitte is an accounting and professional services company that also does consulting. With a HQ incorporated in the UK, Deloitte has a presence across the globe, notably in the USA. 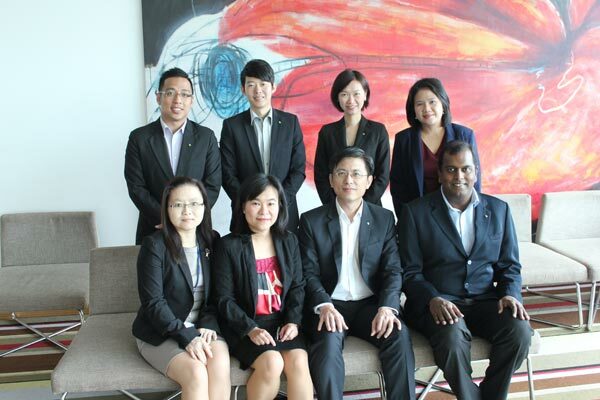 Their Malaysian branch, meanwhile, is part of the Deloitte Southeast Asia network comprising of 6,600 professionals in 24 different offices. On the student front, the company holds tough annual competitions for students in their field. On the graduate employment front, Deloitte has been one of the mainstays of the M100 list since 2014 and continues to feature in its listings. Its American branch was just named #64 on Fortune’s 100 Best Companies to Work For, which speaks of the core culture of the company. Here in Malaysia, they encourage work-life balance to ensure both success and satisfaction, which they try to inoculate into their work culture. A mainstay company that needs very little introduction in Malaysia, this company dabbles in 6 key industries: plantations, property, automotive, industrial, energy/utilities, and healthcare. With all those verticals, it makes sense that Sime Darby is one of the largest corporations in Malaysia. Based on reviews on Jobstreet, Sime Darby provides a friendly work environment with supportive colleagues. Many recommend that you be ready to work hard in a challenging organisation, but the perks are nothing to sneeze at either. 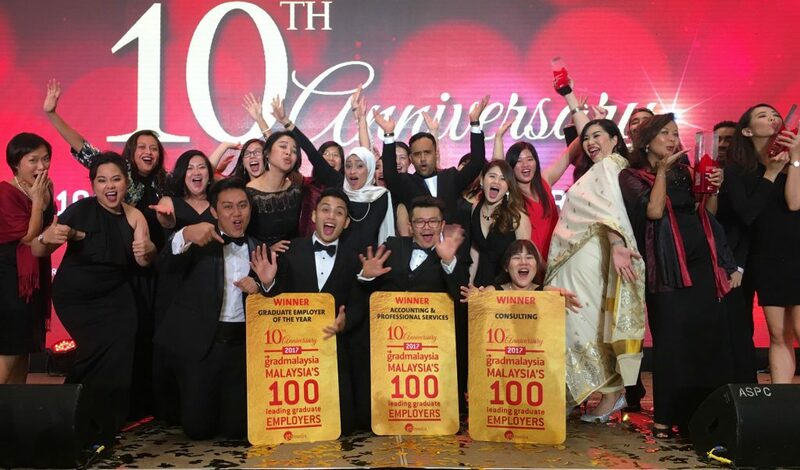 This won’t be the first time that AirAsia is recognised as a desirable employer, and this KL-based airline’s recognition in M100 is simply the latest in the fold—retaining its same position from last year. According to reviews from Glassdoor, AirAsia runs a young team they nicknamed Allstars that helped them win awards by Skytrax as World’s Best Low Cost Airline 9 years in a row this year. Each employee has Tony Fernandes’ contact number so as to cut through layers of bureaucracy. AirAsia’s hiring policy places less importance on where they came from, but rather, how quick on their feet they are, and their passion. Another entry in this list from The Big Four auditors, KPMG is another company on this list hailing from accounting and professional services that offers consulting to boot. KPMG believes that their success depends on the quality of its people. Therefore, KPMG prioritises building a culture that rewards high performance and talent nurturing within its 8 Malaysian offices. As a result, the reviews on Glassdoor say that work is filled with intelligent and friendly colleagues. On top of that, their website even lays out a clear career path where potential employees are able to choose the path that most suits their life goals—especially if they harbour dreams of going global. The UEM Group is a subsidiary of Khazanah Nasional Berhad, and it deals with property and construction, with particular focus on engineering. Among the companies in this list, the UEM Company gives you a direct line to individuals working in GLC’s, Ministries and the authorities—if that’s your cup of tea. Meanwhile, Jobstreet reviews tell us that the company provides good employee benefits in—yet again—a tough working environment. Fresh grads are trusted to do their work, and the team heads are always available to guide them through any troubles. This, and the friendly colleagues spell out what many consider to be a great work environment. 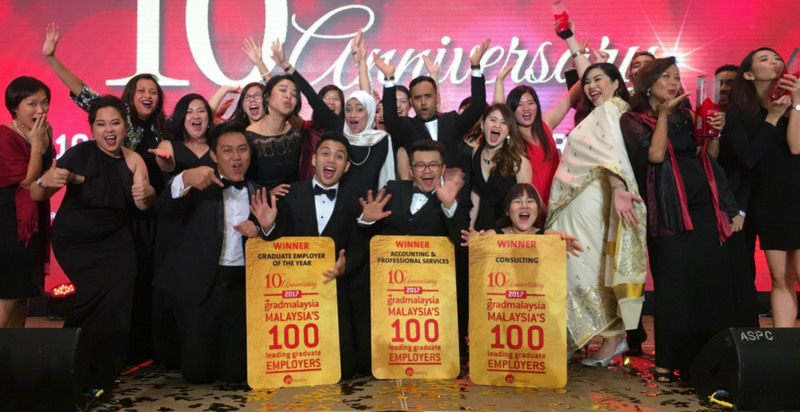 M100 lists them as a chemical and heavy industry company, but as their name implies, their main pride is as the world’s largest rubber glove manufacturer in Malaysia—and very recently, condoms. Their motto, Must Know, Must Do and Must Teach is embedded into the fiber of the corporation. They are also always on the lookout for young blood. We’ve heard good things about their company perks, and our quick trawl through the internet tells us that among these are gym/health/fitness membership perks. The key though, lies in their training platform which includes juicy stuff like online book readings, breakfast talks and and inspirational movie screenings on Saturdays, along with other employee empowerment programmes. Another mainstay in these best employers lists. PETRONAS, as you probably know, is an oil and gas company owned fully by the Government of Malaysia. Fortune has once ranked Petronas as the 12th most profitable company in the world, among other accolades. Today, it’s gone down to number 4 on the list of most desirable companies. That being said, they still invest heavily in recruiting and maintaining a talented workforce. Because it’s an eager-to-grow company, PETRONAS offers a variety of uniquely challenging roles for employees to dabble in. 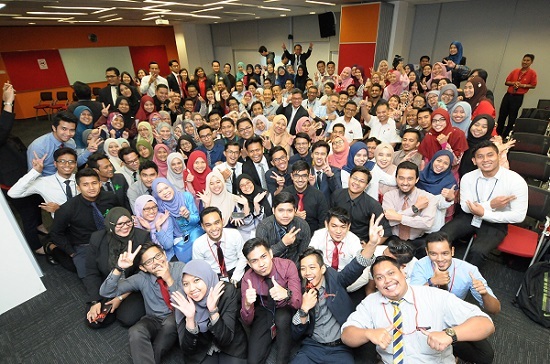 This same rapid growth mindset drives PETRONAS to groom its employees through its on in-house learning institutions—all to enhance its human capital. Moreover, as one of the Fortune 500 companies, it is able to provide competitive employee benefits for families of employees as well. One of the strongest impressions that comes across from Maybank’s reviews on Jobstreet is: good salary, good benefits, and good work culture. This helped it win top spot in this same list last year. In 2017 however, it’s now in third place. Maybank is still one of the largest companies in Bursa Malaysia though, and currently #390 in the Forbes Global 2000 list. 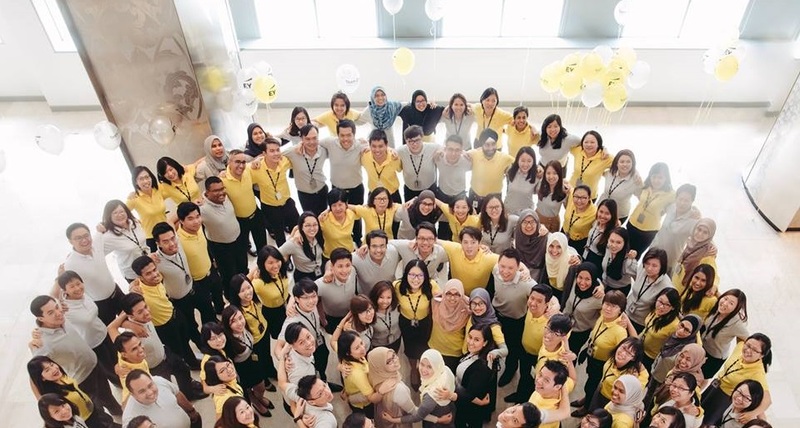 Maybank considers itself as a top recruiter of talent—seeing its leadership pool and talent pipeline as key to realising their aspirations. In pursuit of this, they hold career development programs and offer leadership acceleration opportunities. Ernst & Young are another entry from the Big Four auditors I mentioned earlier, and here’s why. On Fortune, the company is ranked as the 29th best company to work in. Internationally, it provides employees “phenomenal” flexibility that allows its staffers to work when and where they want, allowing them to better juggle the work-life balance. A career with Ernst & Young is a career that’ll shape your brain to a global scale. In Ernst & Young Advisory Services Sdn. Bhd. specifically, reviewers speak about the exposure and experience gained from working on real-life cases as one of the pros of working there. At its core, Ernst & Young likes to ask, “what if?”. To them, the biggest breakthroughs happen by asking this simple question. 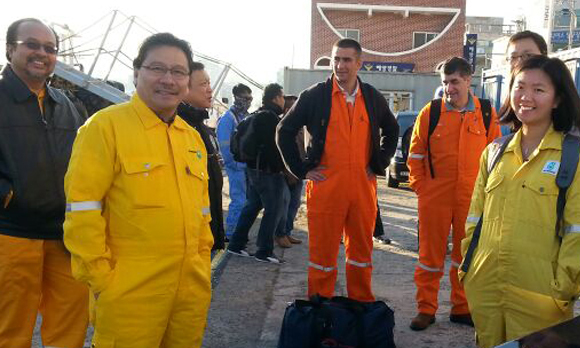 As such, they welcome differing points of view, and vow to recognise employee’s day-to-day work. As for concrete policies, Ernst & Young has a career development framework called the EYU (EY and you) which endows employees with the skills, knowledge and confidence essential to their success. The last of the Big Four accounting firms—not only is PwC on M100’s list of 100 leading graduate employers, it’s also on The Times top 100 Graduate Employers in the UK. 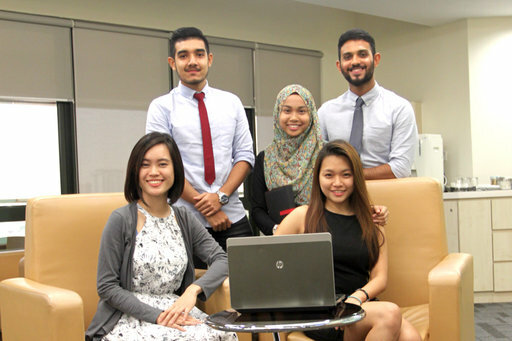 This UK-incorporated company probably finds popularity among Malaysian students for holding an Aspiring Accountants Programme. It was designed for those “looking for a career in accounting even though you don’t have an accounting background”. On top of that, this primarily Gen-Y company offers workplace flexibility, a hands-on health campaign targeted at all of its employees, and even created a programme for those who took a break from work to make their “Career Comeback”. They also launched a campaign for university students called #YourBestShot. This includes 5 videos detailing what it’s like, realistically, to work with PwC in Malaysia. The campaign aptly incorporates social media into its strategies as well. Building on some of the appeal of these companies, the same survey also found that the most important factors named by graduates when choosing an employer includes career prospects, training and development, and their leadership style. The least important factors are: high starting salary, status and prestige, and attractive locations. This shows that Malaysian graduates look to the long term when they selected these companies. This is why the companies chosen tend to hold education programmes either for employees, or even the students themselves. It appears to be a far cry from the youth stereotypes these days, especially in these economically turbulent times.